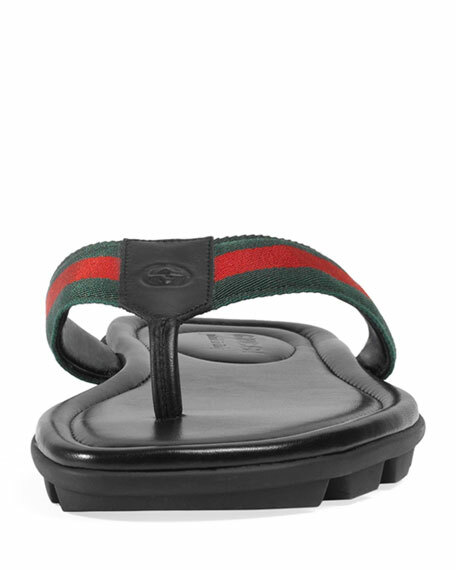 Originally inspired by the equestrian world, the Web takes on new forms this season. 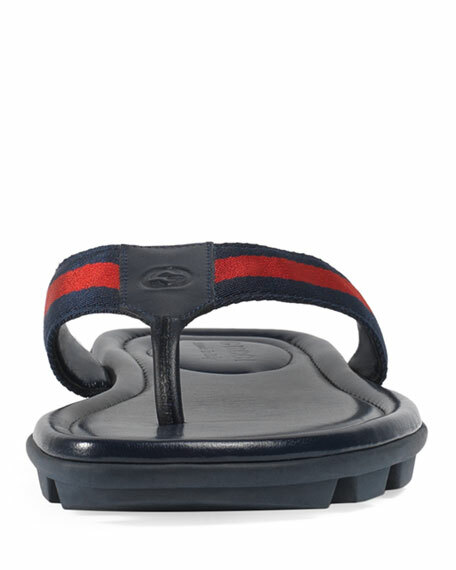 Here the stripe motif adds contrast to a lug sole thong sandal. 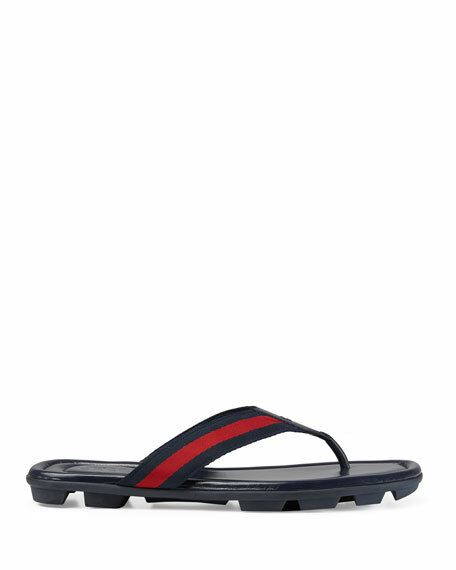 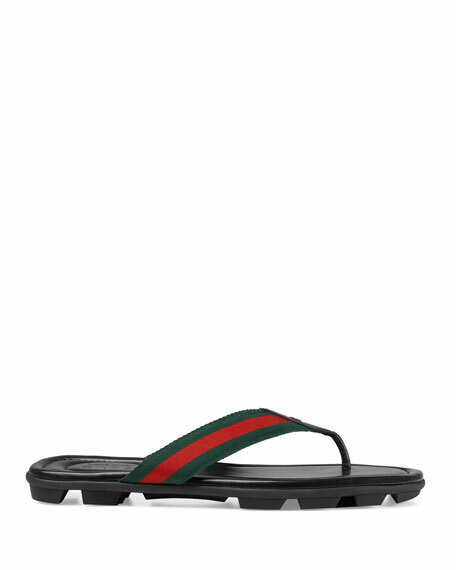 Gucci thong sandal featuring green/red/green Web strap and leather trim.